Yesterday, Rosalie and I made a trip to Angeles City to have lunch with a good friend, Robert Lucke. 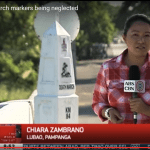 Our trip was also to scout the Death March Markers between Dinalupihan, Bataan and the Train Station in San Fernando where the longest leg of the Death March ended. We plan on cleaning and painting them beginning next month. Most are in bad shape. #92 in Guagua has had its base partially destroyed by a vehicle strike. No picture was possible as the traffic was terrible and there was a lack of a place to pull over to take a photo. On the way up through Bataan we passed marker #67 in the city of Hermosa where the National Road and the Bataan Roman Hiway coincide. The photo below shows what we found. 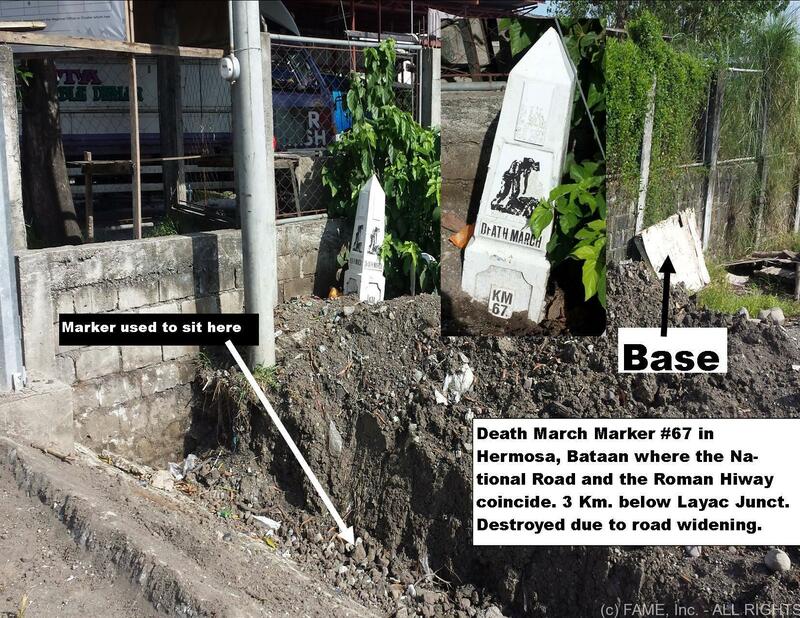 A number of markers have been displaced and damaged by road widening. 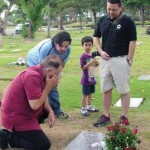 FAME (Filipino American Memorial Endowment) has been advised. 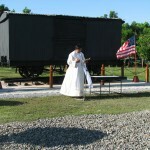 The marker will have to be reconstructed in a new area. If you are so inclined needs donations. 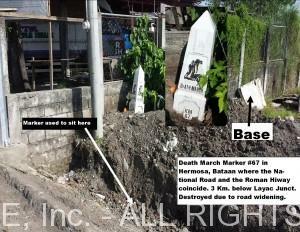 Replacing 2 Death March marker bases will cost about $400 or 18,000 pesos. My grandfather, a USAFFE, was part of the death march and he was shot on the foot while trying to escape during the march, yet he lived till 97 years old to tell the tale. We, his grandchildren, enjoyed listening to his countless inspiring stories about the ordeal and we would ask him to tell those stories repeatedly and we never got tired of them. He passed away about 3 years ago and my only regret now is that I failed to document all his stories when I had the chance. 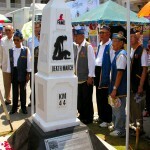 Now I want to honor my grandfather by buying 3 coins so I can give one to my father and another to my brother so to remember my grandpa by and to help the foundation in their efforts to preserve the markers of the death march. I commend you guys in this great endeavor and I hope more people will find it in their hearts to help so to greatly honor the heroes of the march. Thank you for this great opportunity to honor my grandpa.